Are you undertaking an architectural project that requires the durability, efficiency and customization of Ductal® patented solutions? Ductal® products are licensed to precasters and manufacturers who undergo mandatory technical training to then market Ductal® solutions to architects and contractors like you. Ductal® is sold as a kit including the premix powder, fibers and admixtures to a network of partners who transform the premix locally. 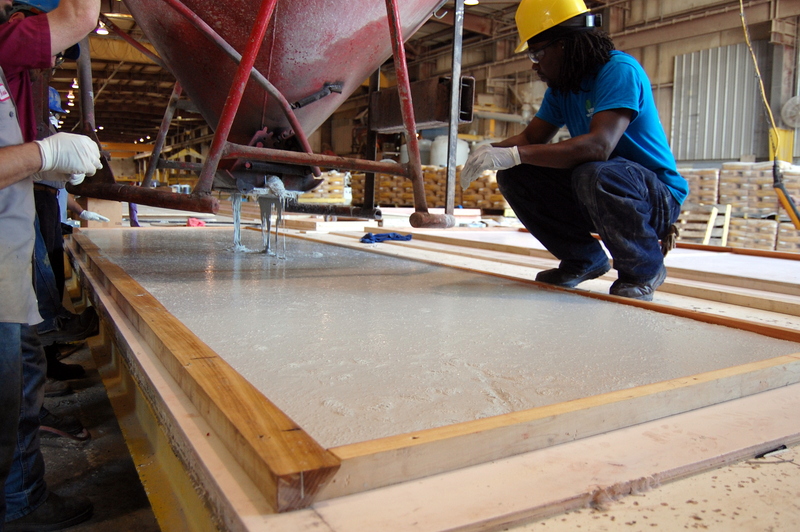 Ductal® undergoes rigorous quality control of raw materials and final premix before delivery to clients to ensure outstanding performance of the end product that meets or exceeds client expectations. The Ductal® portfolio includes a large range of premix packages, each with different properties (mechanical & aesthetic), which meet the project’s specific application and geographic location. With Ductal®, the architectural possibilities are endless. You select the colors, textures and size, and our licensed Ductal® precasters and manufacturers provide a customized solution featuring the highest quality and aesthetics. To find a licensed precaster or manufacturer near you, contact our Ductal® team using the form on this page. Our team will analyze your request, respond to any questions or concerns you may have, analyze the feasibility of your project and help determine the best solution for your architectural design. Once the analysis is complete, our team selects the most appropriate licensed partner who will be best placed to ensure successful project completion, on time and on budget.